LG’s curved smartphone, the G Flex, is apparently more than just an attempt to show off prototype-like display technology in one market. First introduced back in October, and only a few weeks after Samsung gave us the hilariously taco-shaped Galaxy Round, LG appears ready to take their flexible tech to the U.S. 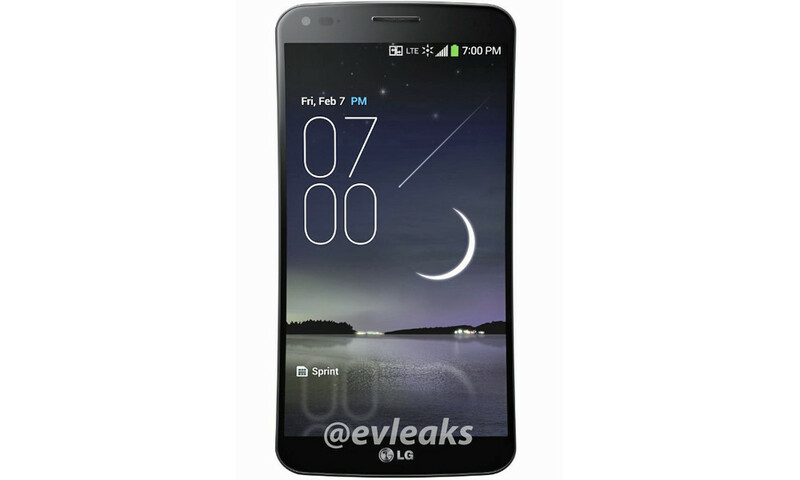 Thanks to @evleaks, we have a press shot of the Sprint variant with model number LS995. The device will more than likely carry the exact same specs as its international brother, meaning it’ll have a 2.26GHz Snapdragon 800 processor, 3,500mAh battery, 2GB RAM, 13MP camera, and of course, the 6-inch HD curved POLED (plastic OLED) display. As you can tell from the image, this phone will indeed work on Sprint’s LTE network with access to Spark (notice the silly icon), assuming you are in one of the select Spark markets. According to sources of ours, we have also been told to expect an AT&T variant as model number D959 and another for T-Mobile. Current launch plans look like February (or late Q1), but with a press render already surfacing for Sprint, I now wouldn’t be surprised to see theirs much sooner. Our sources indicate that Verizon has little chance of seeing this phone, for whatever reason. After seeing the phone flex and self-heal in videos like this one, are you at all interested in this monster, even with its 720p display?